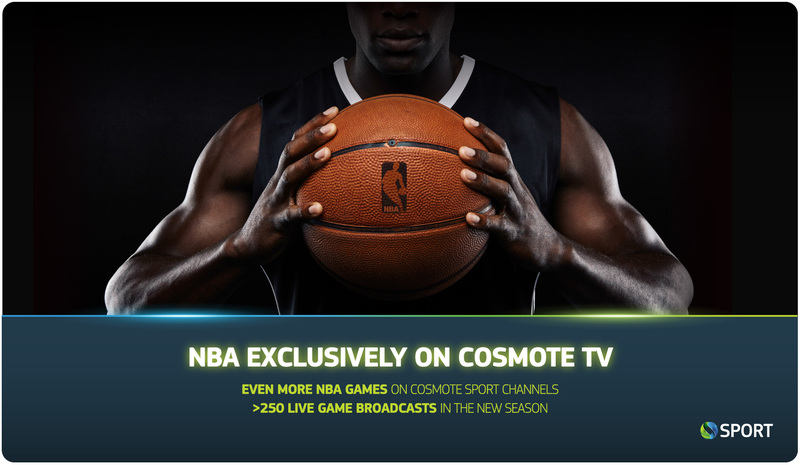 Greek telco OTE’s Cosmote TV pay TV service has signed a multiyear partnership extension with the NBA that will enable it to air a greater number of NBA matches on its Cosmote Sport channels. All games will also be available on demand through the Cosmote TV Go multiscreen and Cosmote Replay TV catch-up services. The pay TV operator’s subscribers will have access to more than 250 live broadcasts per year, as well as daily action throughout the basketball season. Viewers will be able to watch games in primetime on Saturdays and Sundays, together with all the key moments in the season including Christmas Day games, NBA All-Star, the Playoffs and Finals. 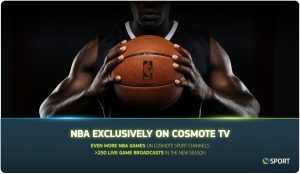 Fore the next two seasons, Cosmote TV has secured exclusive rights for the broadcast of the NBA Global Games, taking place outside the US before and after regular season, the regular season with daily live broadcasts, as well as over 30 games on the TV prime time zone, the Christmas Day games, as well as the MLK day games, the NBA All Star game, the championship’s play-off, all final matches per region, the NBA finals and the NBA draft. The operator will also show live broadcasts of the WNBA (Women’s NBA), which will be taking place from May to October and includes more than 25 games available via live streaming, as well as the WNBA All Star game. “We are delighted to announce the renewal of our agreement with NBA for the exclusive broadcasting of NBA games in Greece on Cosmote TV, with enhanced content rights. Along with our exclusive partnership with Panathinaikos Superfoods, Olympiacos and AEK for their home matches in the Greek Championship and the greatest European tournaments, Cosmote Sport channels offer more than 1,000 hours of live basketball action per year”, said Cosmote TV executive director, Dimitris Michalakis. “We are thrilled to continue our long-standing relationship with Cosmote TV, said NBA VP, global content and media distribution, EMEA, Elsa Memmi.